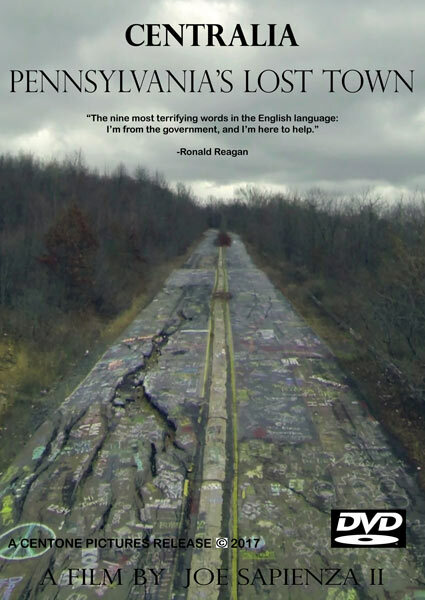 The much anticipated documentary, CENTRALIA, Pennsylvania’s Lost Town premiered in Pottsville, Pennsylvania on May 6, 2017. Directed by Joe Sapienza II, the film follows the story of Centralia and its infamous mine fire through the perspectives of former and current residents, the government’s own actions, and local news archives. Below is a list of dates and theater locations where the documentary will be playing. For more information and updates, be sure to follow the film’s official Facebook page and check back here for additional showings. Penn State Scranton University Campus will host a free screening of the original feature documentary uncut, open to students and the public. Director/Producer Joe Sapienza will be in attendance for Q & A afterwards. Sponsored by the Anthracite Mining Heritage Month in NEPA. Additional locations and dates may be added, so be sure to check back for updates! I can hook you up with Berwick Theater if you want to do a showing there. Probably get a decent turnout. Thank You! Our producer has been in touch with them. We all know that’s another political game ! In over 50 years that could have been extinguished, homes saved & people would have not been exposed to the gases a long time ago. How many people have Parkinson’s Disease or will have it? Government once again ignored the issue. Politics at play. Philly Film Festival in the fall and then there may be a possible screening at two Philly theaters in late fall very early winter (Dec/Jan). We would love to screen before the fall in Philadelphia but certain film festivals prohibit us from doing so right now. Any theaters closer to Allentown? Yes, we are talking to theaters out towards Allentown and are awaiting their approval. Would like to see it shown in the Sellersville Pa. area if possible. We are working on that, possibly around Upper Bucks. You should contact Phoenixville’s theater in the suburbs of Philly. Or there is also a small theater in Ambler. Ambler is on our list and we hope to obtain a contract to screen it there as well. Would like to see a showing around the Harrisburg area, a lot of folks are from that area now living here. I am from Ashland as well as both parents. Yes, absolutely. We are looking into a theater out in Harrisburg and Pittsburgh and waiting for the green light from them. Please screen this at the Colonial theatre in phoenixville, pa. Great turnout. Colonial is now on our list for July/ August bookings due to the amount of request via this site and emails, just waiting for the contact confirmations. Thank you for your support! Thank you for your work. Very nice. Would love to see a screening in Chester County, PA. Many in the area have heard the tales but have never ventured up to see it. If I can be of assistance, please contact me. YES! Please screen at the Colonial in Phoenixville! I was wondering how long the documentary lasts, if anyone can tell me. The theater version is: 1 hr 33 mins run-time. Once we get a distribution deal, the on-line / DVD / Blu-Ray media release- will contain 12 mins of footage that was cut. Colonial Theatre in Phoenixville please. I am very excited to see this! Have you thought about showing in Williamsport PA area? Yes, I believe Lewisburg, the Campus Theater is the closets we got. August 19th. What about the Bloomsburg theaters or the one near Lycoming Mall? It would make sense to have it playing near Centralia for those who have grown up knowing about the town, but not about the full history of those who lived there. Yes, there is a screening in Lewisburg on August 19th at the Campus theater and talks of Scranton soon. I would like to see it in New York City. Any screenings scheduled, or may I organize one? We have submitted the film to three New York film festivals for the fall of 2017, and spring 2018. There will be more NY submissions. No plans for Sellersville at the moment but we are working on more theaters. I would also like a screening in Philadelphia. I would recommend either the Ambler Theater in Ambler or the County Theater in Doylestown. We have submitted to the Philadelphia film festival for October. How about the Colonnade theater in Millersburg, any plans for there? Not at the moment, the closest we have is Lewisburg PA in August. I live in Texas, any plans for down here?? Lol a better question is, when will it be available on Netflix? We hope to have it available for cable, network television, and on-line streaming in the future. There will be two cuts available. A theater and directors cut with more footage. Yes, soon, in negotiations with a theater out that way and in Pittsburg. Would love to view the movie but live in Florida. Will it be released to DVD? It will most likely be released on a digital platform such as Netflix, Amazon, HULU, etc., and most likely on Blue-Ray & DVD, depending on the distribution. Those release dates are not confirmed to date but will be in mid 2018 after its theater and festival run. It has been submitted to festivals in Florida. any way to get this to Albany NY? we have a great independent theater (Spectrum 8) that screens stuff like this? The documentary is running on a short run in local Pennsylvania theaters through the summer at this time, but has been submitted to four New York film festivals. Once a distribution deal is reached, it’s possible it will play in more theaters across the US. To date, the film has been submitted to 35 film festivals across the world. We plan to post more festival screenings on this site so people can see the documentary in their area. 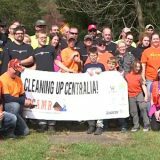 Thanks for your interest in Centralia! Saw this film today in Hamburg, and it was terrific! 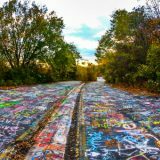 I already knew a lot about the basic story of Centralia (relatives lived there, and some are buried there), but even so, I learned a lot of new and interesting things. I saw the film today in Hamburg. Is this a different version than the one that was shown in Pottsville? There were some interviews included in the film that I saw today, interviews that I do not remember being in the film when I saw it in Pottsville. Also there seemed to be a scene or two towards the end of the film that were removed, scenes that related to the post eminent domain construction of an auto-body shop in the town. Hi Joe, there are 3 versions of the documentary that were sent out and circulated to the theaters at different dates, some have a little more news footage that was acquired last minute and cut into some versions, and some versions are missing the John Koshoff garage section which I believe is the cut you’ve mentioned, and a few small things that were cut with the lawyers that were removed last minute after the initial premiere do to time for theater screenings. 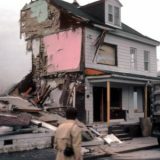 There is cut that has the clean-up efforts and the Centralia curse that will be shown in Lancaster in July. No additional interviews were added. These version all range from 3-6 minutes apart in cuts and does not affect the essential story in a major way. Pottsville screened the original cut that will be featured along with additional footage that will be shown in a director’s cut that will be offered for home release, this will include more footage of Tom Dempsey and Dave DeKok out in Centralia, the Clean-Up efforts in the borough, the Centralia Curse, the Koschoff piece, and a few small things with the lawyers that were cut for time that will be put back in. The director’s cut version which is about 15 minutes longer than the cuts now screening in theaters will be offered along with the original theater versions. We are considering a series of six episodes at 30 minutes each for people to view at their leisure which will include everything from the documentary and more since we overshoot and filmed more interviews that were cut out due to time. We would love to interview Mr. Koschoff who owns the body shop in the borough, but I believe he turned down the producers back in 2014 for an initial interview. I received a DVD copy of the movie today and just viewed it. The John Koshoff garage section, which was in the version that I saw in Pottsville at the movie premier, is not included. Also, footage of the clean up efforts is not in the version I received. Also, in your posting of June 18th, it was mentioned that there was 15 minutes of film, including some interviews that were cut out, that would be put back in the movie for the home release or directors cut. Will there be a future release of the entire, uncut movie, or at least a second release of the movie with “extra bonus material”? Hi Joe, the “directors cut” of the documentary was not released due to manufacturing expenses that could not be covered. However, all of the footage that was cut and more will be in the 6 part docu-series that is now in production for release in 2019, granted that distribution picks up the series. Do you have a date set with Colonial Theater in Phoenixville yet? I want to see it and will come to the Allentown showing if it’s not coming to Phoenixville, but Phoenixville is a lot closer for me. Hi Lori, we received the news on Friday that the Colonial Theater is too expensive to rent out for a documentary so I believe that was axed in the list of Theaters. Lancaster is also going to screen it for one full week in July which will be posted on this site soon. It also has a good chance to screen in Pittsburgh. There are still other theaters that are being considered, it’s just a matter of when they’re available, and will be posted on this site and the FB page. Joe, I work for Penn State at the Great Valley, a graduate campus outside of Philadelphia and we quite often show documentary film’s as cultural events. Please contact Suzanne Cruit Associate Director, Corporate and Community Relations at syk123@psu.edu if you are interested. I just saw this film in Allentown today and it was great. Can’t wait to buy the DVD. The theater was packed with a lot of older folks. The people sitting behind me were originally from Centralia and kept whispering the names of some of the people who were interviewed in the old tv footage. Great job guys. In Pittsburgh, have you tried the Tull Family Theater in Sewickly? A friend just screened a movie he wrote, directed, starred in and produced. It is alovely theater. I will be visiting Centralia the week after Independance Day.. Yes, we are screening the film at the Row House Cinema in Pittsburgh. I live in NC but would be interested in purchasing in DVD format. The documentary will be released for home viewing after January or May of 2018. We’re in the middle of negotiations for an on-line and disc format. There will be two versions available. One will be the theater version and the other is the extended version. I no longer live in the area & would be VERY interested in seeing this film. How would I do that? The documentary will be released for home viewing after January or May of 2018. We’re in the middle of negotiations for an on-line and disc format. That is one way to see the film, the other is to keep an eye out for any film festivals in your area that will screen the film and that will be posted here in the future. The film has been submitted to 40 festivals worldwide so far. I would love to see this documentary!! But my concern is, does this movie have closed captions? I’ve heard some stories from neighbors and I have a friend that live down in Locusdale, pa. He tells me some stories from his father, grandfather and great grandfather that used to work at the miners! 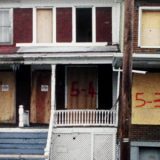 But that not enough cuz i love to hear the whole story abt Centralia and Brynsville! There is no closed caption for the theater screenings, but should be for the DVD and Bluray discs once they are released. Hi! I am originally from Shamokin & I am psyched to see this film. I hear it is outstanding. Any chance a showing at Newtown Theater in Bucks County is on your list? Hi Christy, the closest screening we had out that way was Doylestown. It may get into the Philadelphia film festival in October, but if it doesn’t, we plan to screen it ourselves in Philadelphia at one of the theaters. You can check back on this site for updates! Is this going to be screened in Australia by any chance? The film is only running in Pennsylvania theaters, but it will be available worldwide for on-line streaming and on discs next year! Would like to see it in Carbon County. Unfortunately, It did play in Jim Thorpe, Tamaqua, and Pottsville back in June but will screen close to that area in Coaldale next month. Live in Florida. Family from there. When will this come out on DVD so I can see it? This will be available on disc in 2018, a firm date will be announced in October after its theater runs. Is it available online or DVD??? Due to an emergency i missed the showing at the Campus theater in Lewisburg this past Saturday. However i am traveling to York this comimg Saturday to see this yet my wife will be unable to attend any of the local dates due to being away on business. I know you are looking to possibly put this on Amazon and Netflix but is there a chance you will be selling DVD’s or Blu Ray copies of this movie? Im going to make the 2 hour trip this coming weekend since i missed the Campus viewing 15 minutes from me. I would love to own a copy of this documentary. Thank You for adding those extra dates, i was torn when the emergency happened for those affected and for missing something i have had planned for several months. Thank You for makimg this film. This has been a wish of mine for years since my wife did not grow up in this state. Still unfortunate she will not be able to see this, fingers crossed you will release a dvd or Blu Ray so we can purchase it. While I’d love to attend a showing at one of these venues, I’m seven hours away. Looking forward to the online rental availability! Thank You…the rentals will be available in January 2018! Yikes, missed most of the recent screenings – any new places/dates? Thank you! Yes, we’ve screened in many theaters in that surrounding area and will screen in two more theaters in November- in Coaldale and Pottsville. Will you be showing it around the Hershey PA area at all? Our final two screenings dates are in Coaldale and Pottsville in November. New hope film festival is reviewing films for july 2018 . Have you considered that festival? Unfortunately we are finished screening at film festivals and theaters and the documentary is now in the process of being pressed on DVD and Bluray for February release! Thank you for your comment! Will the DVD be available for purchase on Amazon.com? At this time our distributor and Amazon are in negotiations for a purchase on Amazon, but other vendors may pick up the film and sell the DVDs individually in the future. Unfortunately the film will cost more on Amazon due to their contracts and pricing so we’re offering a better price on our website without Amazon. Quick question: I got my dvd today and I was wondering if this is the full directors cut or not? I remember someone saying there were three different versions of this film. I think it’s celtone pictures. Wondering which one this is. Hi Joe & Adam, the “directors cut” of the documentary was not released due to manufacturing expenses that could not be covered. However, all of the footage that was cut and more will be in the 6 part docu-series that is now in production for release in 2019, granted that distribution picks up the series. Would love to see this at the newtown pa theatre , the oldest movie theatre in the United States! I believe it did screen in Newtown last year. Pittsburgh. Please. I don’t know if you ever made it to the Row House Cinema. But there are many other theaters like the Hollywood, Regent Square, Manor, Harris, Carnegie Science Center, etc. Yes, it did screen in Pittsburgh for one weekend last year. Can you please bring it to Cape Cod, MA? 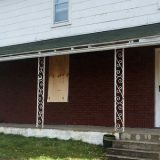 My mother was born in Centralia, and my siblings and I are trying to track down the history of many relatives who owned homes in the town. You can now purchase the documentary on DVD or Bluray through our website. Thanks!! How about the Pocono Cinema in East Stroudsburg, PA ? Hi Amy, the documentary played at the Pocono Cinema last summer after it was first released. If they are interested in an additional screening we will screen up there again. Would love to see it come to the Pine Grove theater! Hi Molly, I believe it was either shown there or in that surrounding area when it was first released in 2017. If it wasn’t shown there, it could be that the theater never got back to the marketing team or they were not interested in a screening back in 2017, and the marketing team moved onto other theaters within that area. Almost every theater in PA, local, independent, and major chains where contacted after its release. State College, Pa. area showings please.